For eponymous parties, see Party of Democratic Action (disambiguation). "Ja sin sam tvoj, zemljo"
The Party of Democratic Action (Bosnian: Stranka demokratske akcije or SDA) is a Bosniak political party in Bosnia and Herzegovina. The Party of Democratic Action (SDA) was founded on 26 May 1990 in Sarajevo. 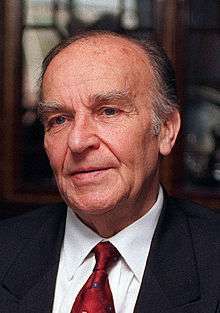 It was a realisation of Alija Izetbegović's idea of an Islamic religious and national party in Bosnia and Herzegovina. The SDA was founded as a "party of Muslim cultural-historic circle". At first, the party avoided national or religious label in multinational SR Bosnia and Herzegovina, however, SDA was evidently a Muslim party, which the party's founders openly declared. Many members of the Islamic Community and imams took part in the party's foundation. Party has its roots in the old Yugoslav Muslim Organization, a conservative Bosniak party in the Kingdom of Yugoslavia. The SDA achieved considerable success in elections after the fall of communism in the early 1990s. It founded the newspaper Ljiljan. The party remains the strongest political party among the Bosniak population in Bosnia and Herzegovina, and it has branches in Croatia and Serbia (Sandžak region). One of the goals of the party, outside Bosnia and Herzegovina, is to represent and defend interests of Bosniaks and other Muslim South Slavs in the entire Balkan region. In November 2000 the party was defeated by the Social Democratic Party and other parties gathered into the "Alliance for Change", and found itself in the opposition for the first time since its 1990 creation. The party is an observer member of the European People's Party (EPP). ↑ "Bakir Izetbegović is the new president of the Party of Democratic Action". klix.ba. Retrieved 26 May 2015. ↑ Šedo 2013, p. 31. ↑ Eralp 2012, p. 28. ↑ Babić 2014, p. 128. ↑ Farmer 2010, p. 126. ↑ Krieger 2012, p. 102. ↑ Tottoli 2014, p. 81. ↑ Filipović 28 July 2000. ↑ Šedo 2013, p. 92. ↑ James, Ron (2003). Frontiers and ghettos: State Violence in Serbia and Israel. University of California Press. p. 218. ISBN 9780520236578. Retrieved 2009-06-18. ↑ Perica 2004, p. 87. ↑ Al-Azmeh, Aziz (2007). Islam in Europe: Diversity, Identity, and Influence. Cambridge University Press. p. 118. ISBN 9780521860116. Retrieved 2009-06-18. Babić, Marko (2014). Milosevic, Marko; Rekawek, Kacper, eds. Perseverance of Terrorism: Focus on Leaders. Amsterdam: IOS Press. ISBN 9781614993872. Eralp, Doğa Ulaş (2012). Politics of the European Union in Bosnia-Herzegovina: Between Conflict and Democracy. Lanham, MD: Lexington Books. ISBN 9780739149478. Farmer, Brian R. (2010). Radical Islam in the West: Ideology and Challenge. Jefferson, North Carolina: McFarland. ISBN 9780786462100. Krieger, Joel (2012). The Oxford Companion to Comparative Politics. Oxford: Oxford University Press. ISBN 9780199738595. Perica, Vjekoslav (2004). Balkan Idols: Religion and Nationalism in Yugoslav States. Oxford: Oxford University Press. ISBN 9780195174298. Šedo, Jakub (2013). "The party system of Bosnia and Herzegovina". In Stojarová, Vera; Emerson, Peter. Party Politics in the Western Balkans. New York: Routledge. ISBN 9781135235857. Tottili, Roberto (2014). Routledge Handbook of Islam in the West. London: Routledge. ISBN 9781317744023. 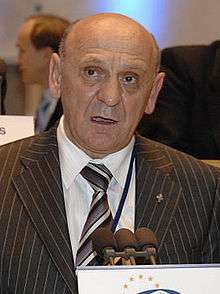 Filipović, Muhamed (28 July 2000). "Kako su se razišli Alija i Adil". BH Dani (in Serbo-Croatian). Retrieved 1 March 2015.